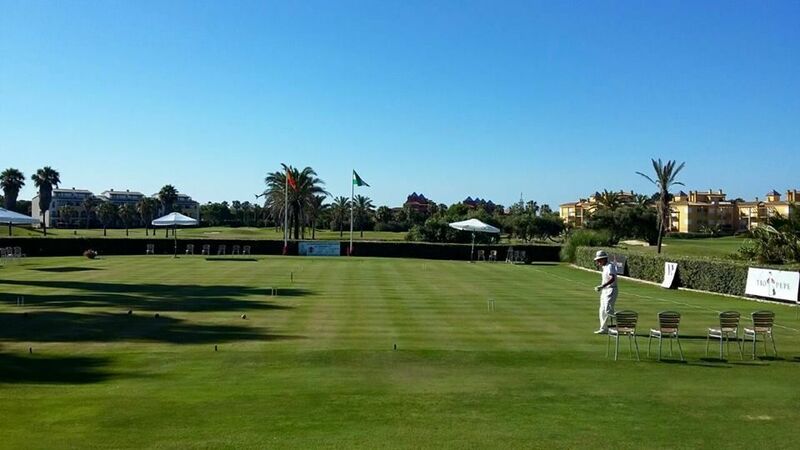 The Costa Ballena Golf Club was proud to host recent semi finals (2005 & 2006) of the European Tour Qualifying School. The resort has been rubber-stamped by many National PGA organisations, particularly those from Scandinavean countries and when you see the practice facilites you will understand why. 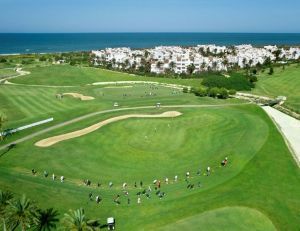 The largest driving range in Europe at over 350m wide with extensive views over the Atlantic is the centre-piece of the golf school, and is complemented by the par 3 course, putting green and practice green for chipping and bunker shots. 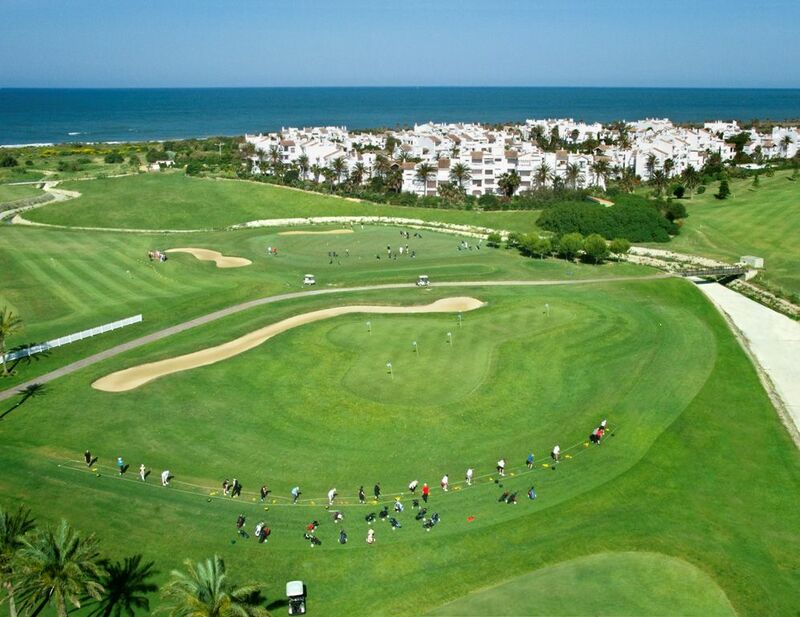 Designed by Spanish golfer Jose Maria Olazabal, Costa Ballena Golf Course is a challenge for golfers of all abilities. 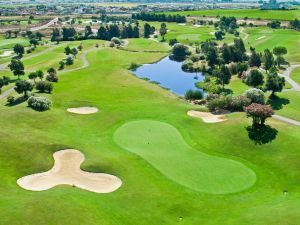 The club boasts 27 holes (3 × 9 holes, each named after the type of tree that flanks the 9 hole layout) plus a 9 hole true-par-3 course and offers a great range of Spanish golf holiday options. The Clubhouse and pro-shop is a luxurious place in which to relax after your round. Featuring a fully equipped gym, sauna, jacuzzi and more the locker room area is truly one of the best we have seen. The fully stocked pro-shop, smilingly run by a man named Jesus(! ), is a great place to pick up those golf holiday bargains. 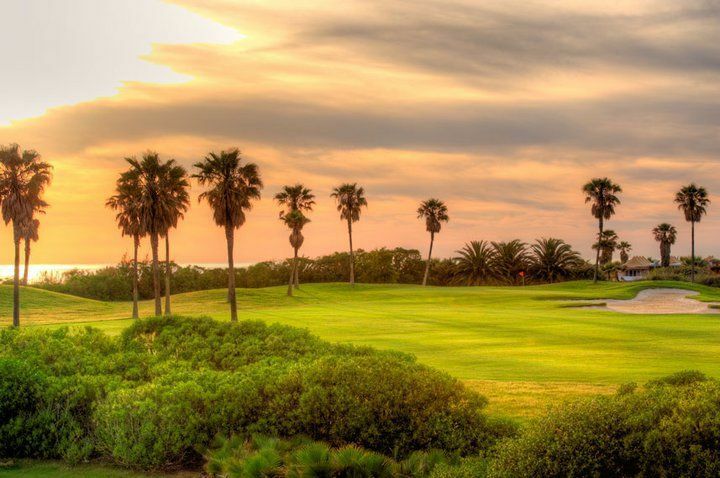 Spread over a 100 hectare site running alongside the Atlantic coast, this course is in keeping with the natural landscape and enhances the beauty of the local environment. 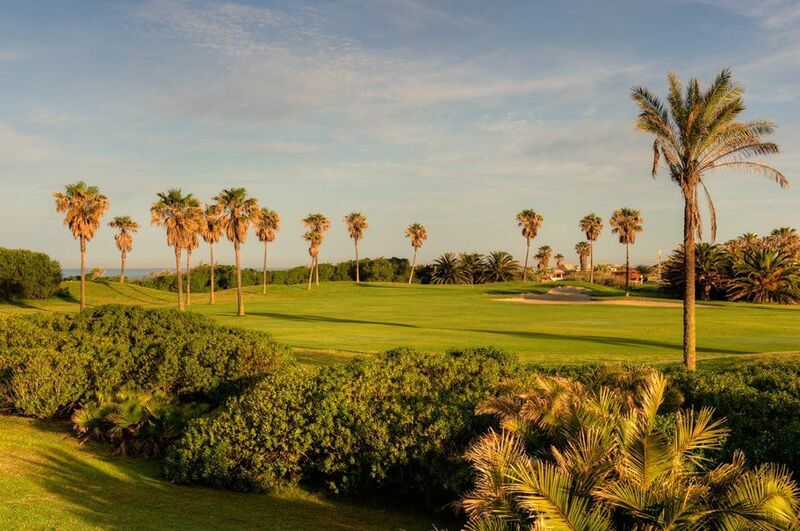 The first 18 holes are played between the Atlantic Ocean and the soft plains of the interior. 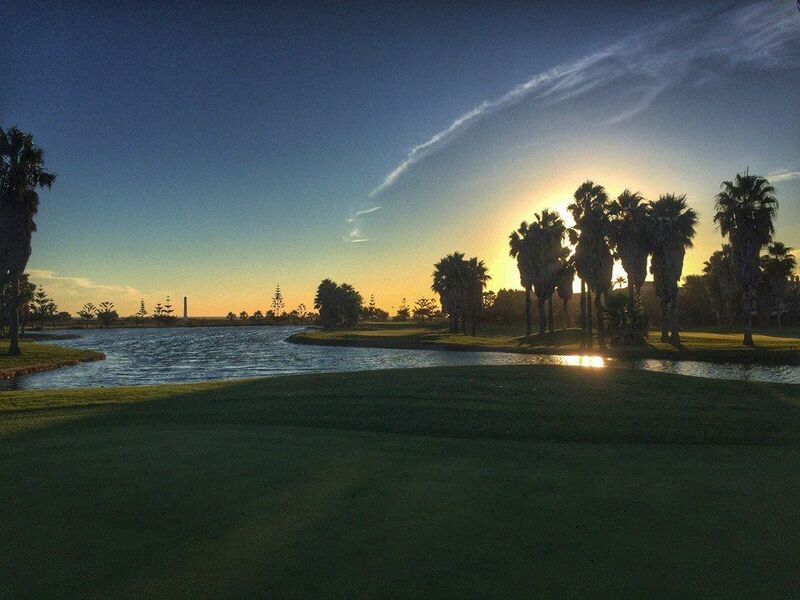 The par 72, 6215m design stretches over an area of exceptional beauty flanked by sand dunes, gentle slopes and four large lakes which come into play on many holes. 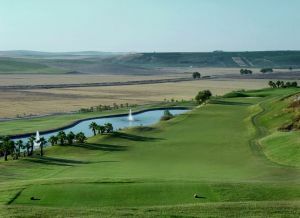 Holes 19 – 27 are located to the East of the first 18 and are designed to complement the entire golf resort. 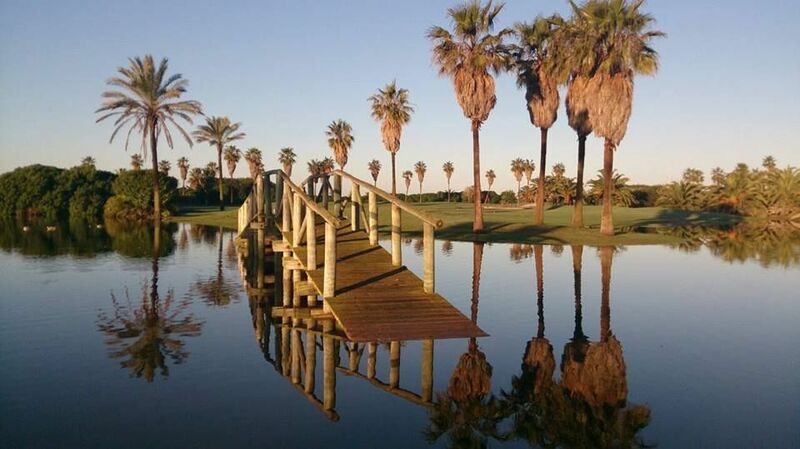 From the airport, follow the autoroute to Cadiz and then take the road to Puerto de Santa Mira (exit 23). Stay on the A491, following signs for Rota. Go straight ahead until the entrance for Costa Ballena is visible. 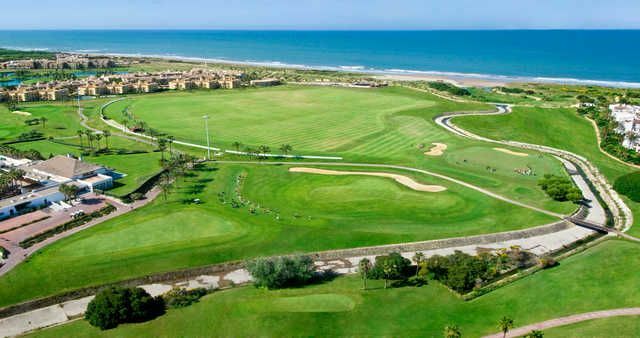 Costa Ballena Ocean Golf Club - Olivos/Palmera is not yet in our pool of Golf Courses for orders.